Anyone with a functioning Instagram account and a vague interest in the self-built bike scene will have likely stumbled across the letters VC. 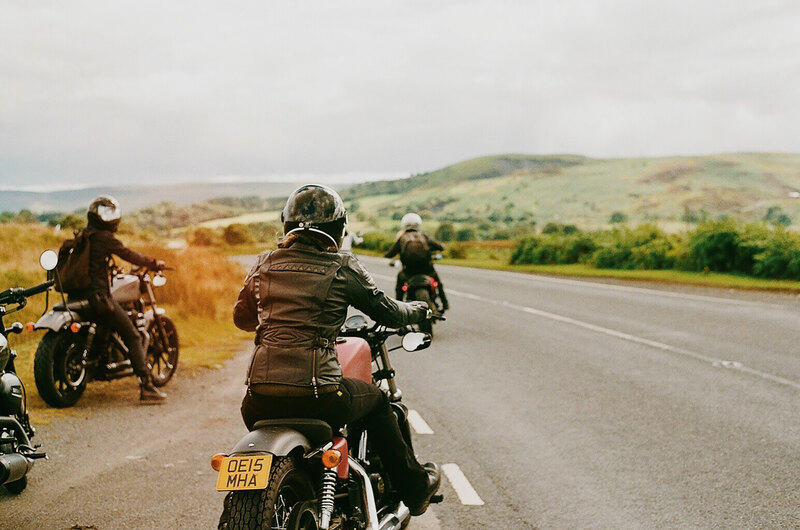 It started life as a group of like-minded, motorcycle-mad females enjoying a few leisurely rides on their custom creations, but the simple acronym has developed to mean so much more. 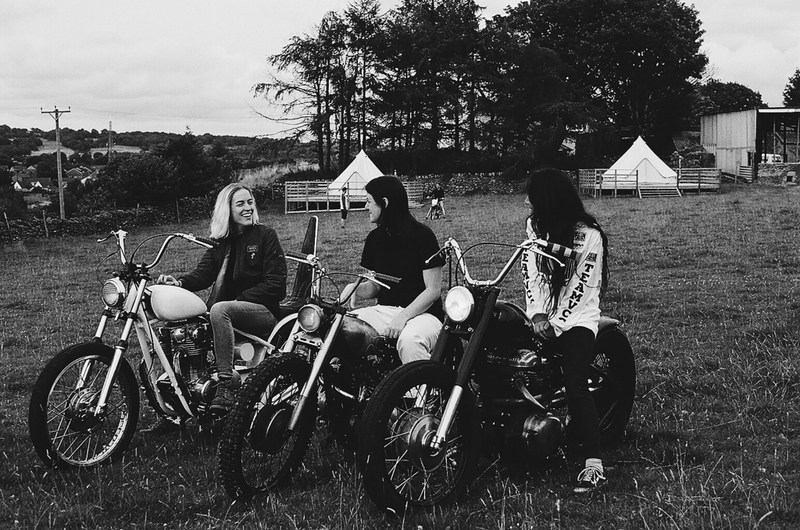 “It really began with a few girls hanging around a custom bike placed called The Shop on Cable Street in London,” explains Rachel Billings, a photographer and friend of the VC crew. In case you were wondering, those letters stand for, brace yourselves, Vicious C*nts, which is ironic seeing as the small group of female bikers subsequently set out to introduce women riders to the thrill of motorcycle ownership. “The VC girls hooked up with a local bike training school and managed to agree a healthy discount on CBTs and training for its female members,” explains Rachel. “The idea was always to get more girls riding and they started organising relaxed trips out to Epping Forest and further afield,” she adds. But thanks to the wild world of social media, word of VC has spread far and wide, with the core of achingly cool individuals now spanning hundreds of active enthusiasts across Facebook, Instagram and Twitter. 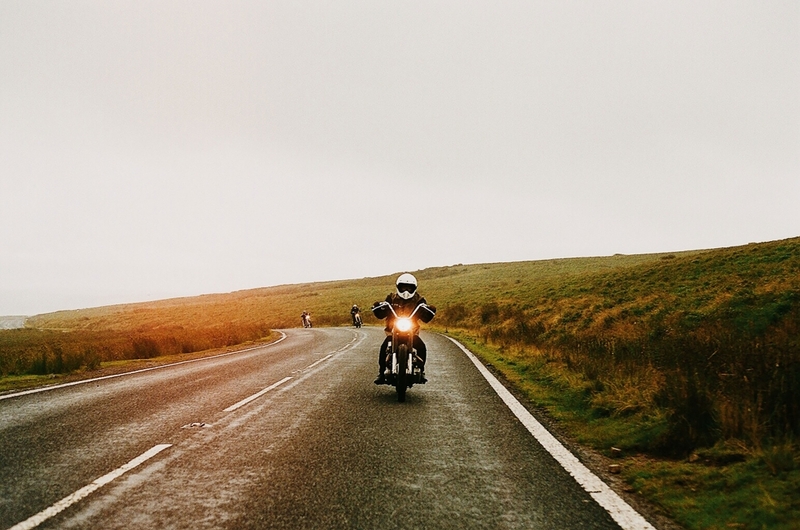 As a result, the VC scene has mushroomed to encompass fashion, art, music, lifestyle and events, with this year seeing the inaugural Camp VC head to Wales for a weekend of bike-related revelry. 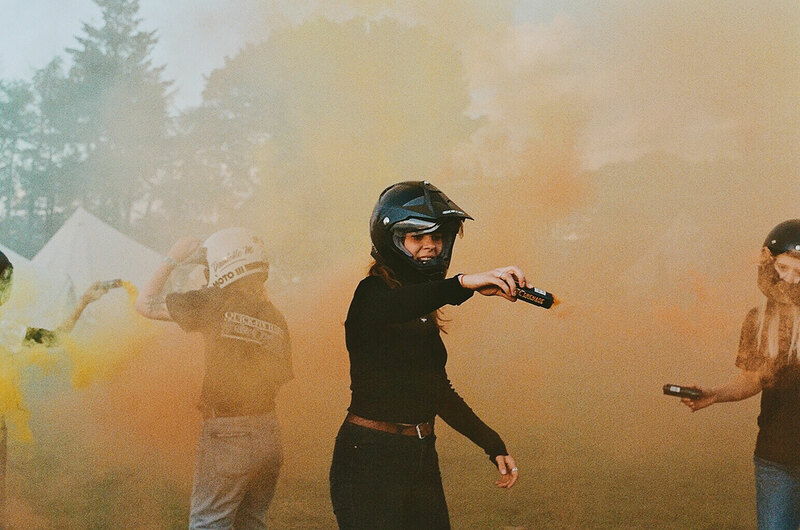 Thankfully, Rachel was on hand to capture the atmosphere on her trusty Yashica FX-3 35mm camera. “We were up somewhere in the middle of Wales for Camp VC, so the weather wasn’t exactly reliable,” she explains. “But as you can see from the photos, all of the girls didn’t stop smiling. There was such a mix of riding abilities and different bikes but there was no pressure to look cool or perform, it was one of the most chilled-out bike events I’ve ever been to,” she adds. The premise of Camp VC is fairly simple. Girls rock up to a cool campsite on their chosen method of transport and consequently enjoy a few days and nights of music, food, skating and drinking, not to mention the opportunity to try out numerous motorcycle disciplines. “Anyone could have a got at flat-track racing, Enduro riding, motocross or a relaxed ride out in the local area,” Rachel explains. “I can’t think of another festival that offers that sort of interactivity. “Or, if you didn’t want to get muddy, you could just hang on the site and watch some skate action on the half-pipe or chill with friends. “I went through four rolls of 35mm film, losing one to a rookie error when I stupidly opened the back of my camera – on the rare sunny day we had – without rewinding it first, but I was happy with how some of the photos turned out. I was just really fun,” she adds. Do you live in London? Thinking of hopping on two wheels? We strongly suggest you check out the VC London website and get involved. They are super cool. Check out more of Rachel’s work via Instagram. She’s on @raisehellbill.